When winter storms hit the Des Moines metro, our technicians are busy helping homeowners keep their homes cozy and comfortable with furnace troubleshooting techniques. Lozier experts are asked a lot of questions about common furnace repair issues, and our goal is to help educate our community about all things HVAC, so we’re ready to answer your questions about why your furnace is not working. Let’s review some typical furnace services our techs perform. If your heating system is not working properly, a common problem is a frozen or blocked intake pipe. During Iowa winters, the excess snow can cover the opening and make things run less efficiently. It’s a good idea to check the intake pipe a couple times throughout the winter months to check that things are running smoothly. There could be many things that cause a furnace to blow cold air, which is usually why we recommend a professional HVAC technician comes out and takes a look. 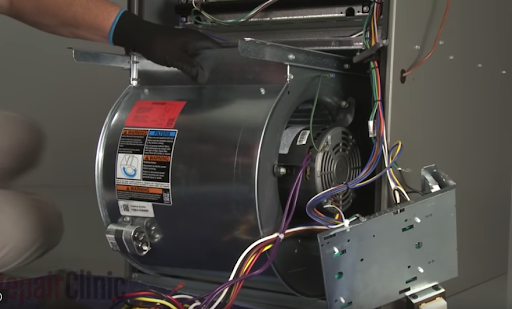 The blower motor is one of the largest parts of your furnace and is difficult to locate and repair. See it here in this video from RepairClinic - the process is tedious and dangerous. Check the fan settings on your thermostat to see if your fan is set to ON. If this is the case, the blower will run continually, which means it sometimes blows cold hot. Change your fan to AUTO to ensure it will only blow when there’s heat. When’s the last time your furnace filter was replaced? Double check to make sure there’s not a dirty furnace filter blocking air flow. If the filter gets too clogged, it can overheat the furnace, tripping the system. If you’re still having issues with your furnace blower not working, contact the experts at Lozier Heating and Cooling. The condensate pump pushes hot water created by a boiling system, and if this part is failing it could cause water damage or other costly repairs. 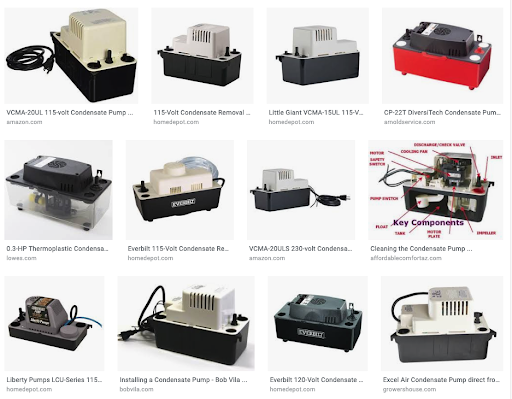 A quick image search shows there a lot of types of condensate pumps but they all look like small boxes that normally sit on the ground next to the furnace. This can be a risky part of the furnace to work on, so we recommend leaving the maintenance to a professional. The hot surface ignitor heats up when electricity passes through it, so if it’s out or doesn’t have an electrical connection, your burners will not work. This part typically lasts about 3-5 years, so if your heating system is having issues the hot surface ignitor could be the culprit. It’s a small part that we can test using our equipment. We’ll measure the resistance of the surface ignitors in ohms and see if it needs replaced or cleaned. The flame sensor is a safety feature on your heating system that regulates the gas flow of your furnace. If it senses a flame, it will feed gas into the combustion chamber and create heat within your home. If it’s not sensing a flame, the gas valve will automatically shut off to prevent gas from building up. One of the most common issues we see is that it can get corroded with a carbon type build up, making it harder to sense the flame. A tech looking in the furnace might see the blowers light up to 3 times but then go out after about 5 to 8 seconds indicating the sensor is bad. This video gives you an example of what you’d expect to see if this were an issue. This monitors the pressure of air intake and exhaust, so when it switches off, it will shut your furnace down. This is another safety feature that protect against gas leaks and prevents the furnace from running if there’s a flaw in the system. Usually, there is a blockage somewhere in the system that’s preventing the furnace from operating smoothly, so you can try to clean up the system and clear up any clogs. Already tried replacing things on your furnace and still having issues? Often times, just like with your health, the first fix may only be treating the symptom of a larger issue that won’t present itself until the minor kinks are worked out. One thing is for certain, we’ll always do our best to get right to the root cause of the issue with your furnace. That’s why you might hear different estimates from companies - sure we can get your furnace working for a few more weeks, but we’ll identify the underlying issue of the breakdown - it’s up to you if you want to prevent further breakdowns or risk the quick fix. If your furnace is not working properly, call the experts at Lozier Heating and Cooling. We offer 24/7 services and want to help homeowners stay comfortable in any season. Lozier has been performing HVAC maintenance in the Des Moines metro for over 110 years, and our goal is to educate our community about all things HVAC. Call today at 515-267-1000 or schedule a service appointment online.